Find the latest and greatest episodes of Citrus Room right here. I’ve missed you. It’s been SUCH a long time since I’ve posted an episode. Life has been crazy, I moved to LA and hit the ground running. Let me repeat, I MOVED TO LA! I finally did it. My year plan of moving to LA paid off and this summer I made the drive and started my new job. I’ve fallen in love with this city and have enjoyed every moment of it. Has it always been fun? No. But I am embracing the good and the bad. In this episode, I fill you in on my life and share with you my accomplishments in 2018. 2018 was such a memorable year for me. For so many reasons. Tune in and hear what my 2019 New Years Resolutions are and I share with you my 23andme test results! If you’re not already following me on Instagram find me here! Name a better duo, I’ll wait. It’s our first Flashback Friday episode! Thank you for your patience, for real. If you know me personally or follow me on social media you know that I moved to Los Angeles a month ago. And since then life has been crazy! I started a new job and even flew back to Seattle to attend Citrus Room Squeeze. I can’t thank you enough for showing nothing but love and support for Citrus Room. Before I moved I got the chance to chat with LexScope. An incredible person who is using their creative talents in film and photo to navigate and make their mark in Tacoma and Seattle. I didn’;t edit this episode where I would speak on “time”. This interview was a week before I signed a lease, flew to LA to pick up keys and then have 3 interviews in one day for what is now my current job. This interview was what I needed and reminded me about my journey before I made the big move. Shout out to Alex. Because he ended up asking me questions and we both shared our vulnerabilities with one another and for that I’m grateful. Why don't we talk about mental health enough? What movie would you choose if you had to pick between Friday and Hitch? How do we move and shake in a new city? Learn about all that and more in this episode with LexScope. 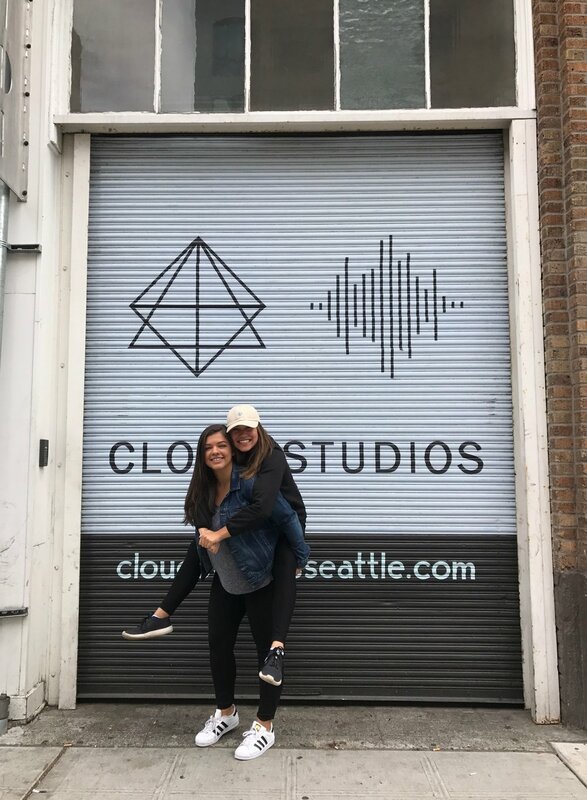 PS you’re probably wondering, why don’t we have a photo together at the Cloud Studios wall? WELL let me tell you! People were using the freight elevator and they weren’t going to be done using it anytime soon. 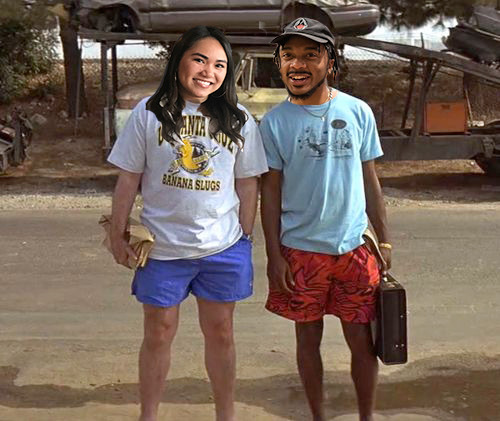 So since Alex’s photoshop skills are fire, we went with the next best option. Follow LexScope on Twitter, Instagram and check out his website. I love interviewing creatives and hearing their stories of how they found their passion, their struggles of pursuing their passion, the ups and the downs - there is ALWAYS something to learn. I got the chance to sit and have a rich conversation with two talented individuals, Sam Fu and Jon Armstrong who are photographers in the PNW. I met Sam in late 2017 and Jon just last month, we all instantly connected as we shared stories of our upbringing, food, traveling and more. It was no question that I had to have them on the podcast! Learn about what music we are currently listening to, the ups and down of Sam and Jons' artistic career, what other creative outlets they want to try out and find out my big announcement! Follow Sam on Instagram here and stay tuned for his new website here. Follow Jon on Instagram here and visit his website here. What is the biggest thing you have learned about yourself to this day? This was the first deep question of MANY that I asked in this interview. I'm thankful to have had the chance to chat with Zay and Yohiness J. Two strong, smart and motivating young men that are trying to make a name for themselves while creating a movement that brings people together. It's not easy being a young entrepreneur in Seattle. With the tech industry booming, the Seattle freeze, politics and more it is hard to get your name out there. Learn about how these guys have navigated their way into making successful events, gaining personal strength, educating the country on the nationwide known hate crime toward their friend DaShawn and staying positive through adversity. I think it's important to understand that we all go through challenges in life, and sometimes just hearing how someone else makes it out is motivating in itself but also reminds you that you are not alone. Follow Zay on Instagram here! Follow Yohiness on Instagram here! One thing I have cherished in doing this podcast is interviewing different artists and hearing their perspective on what art means to them, or what art has done for them. Whether they were into graffiti or music producing, they all have a story to tell. I got the chance to chat with Layne McDonough who is a former tattoo artist and is now dedicating his time to painting. I heard his perspective of why he doesn't like to call himself an artist, or use that term. We share a similar need to get out of the city and branch out, but that home will always be home. We also express how we crave face to face conversations with people and how much the social media world has hurt us as communicators. Tune in and find out more about this amazing human being! Follow Layne on Instagram here! We're keepin' it real healthy in the FIRST EPISODE OF SEASON 2 OF CITRUS ROOM! What better way to kick the season off with Mr.Nicenice and Nyles Davis of FTB - Seattle's hottest collective that's bringing you music, clothes and parties. I'm fortunate enough to have known Mr.Nicenice for so long and we got to catch up on our old high school days. I also got to know more about Nyles and his next moves for music. We also switch it up on the show and have a fruit basket freestyle, press play to find out who wins! This is probably one of the funniest episodes I've done yet and I apologize for all the ridiculous laughing, fun fact - in high school I won "Best Laugh" in the yearbook. I'm proud of all the work these guys have done and it's really inspiring to watch them chase their dreams. You can catch Mr.Nicenice performing at Neumos on 4/12 and later this year along with FTB at UPSTREAM! Follow Mr.Nicenice on Instagram here and follow Nyles Davis on Instagram here! I'm super thankful I got the chance to chat with Adam Heintz of EvergreenTreez! Adam and I went to college together and had several classes together and ended up standing side by side as we graduated. College was a JOURNEY and it amazing to see where we are now, achieving our dreams. Adam has always been a man of the outdoors, whether he is snowboarding or cruising around on his longboard. After college Adam created the lifestyle and clothing brand EvergreenTreez which promotes a positive message about the outdoors and encourages people to become closer to nature. A quote from his website: "We are a movement with purpose. We have an eye to the future and know that the natural world we all love has been compromised for some time. In order to continue to climb, sleep in, hike through and explore the Treez we need to promote environmental stewardship. We will continue to spread our roots this year by partnering with non-profit groups in Washington State to rebuild trails, support reforestation efforts and plant Treez. " Adam, I'm so proud of you and I'm constantly inspired by your carefree, easy going and positive lifestyle. Follow EvergreenTreez on Instagram here and purchase merch! I think this interview was a surprise to all that attended because man... it got DEEP. But we also found ourselves laughing hysterically. This interview with Romaro Franceswa and DJ Marvelous was D O P E. I got to learn a side about Romaro that was vulnerable, something that might not be apparent when you're labeled as a rapper. Things are moving and shaking in Romaro's world. He's hitting the road to go on tour with other big name Seattle rappers such as Dave B and Mr. Nice Nice. 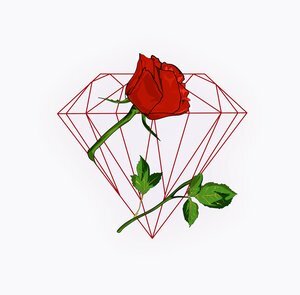 He's also featured in the highly anticipated album by Sango "In The Comfort Of" and is getting ready to drop his EP "Kiss The Sky". Things weren't always so positive in his world, get to know Romaro and his DJ, Marvelous and what it was like as kids growing up in Federal Way. Follow Romaro Franceswa on Instagram here and follow DJ Marvelous here! I am thrilled and so impressed with six year old Jonas of Jojo Wear Clothing! 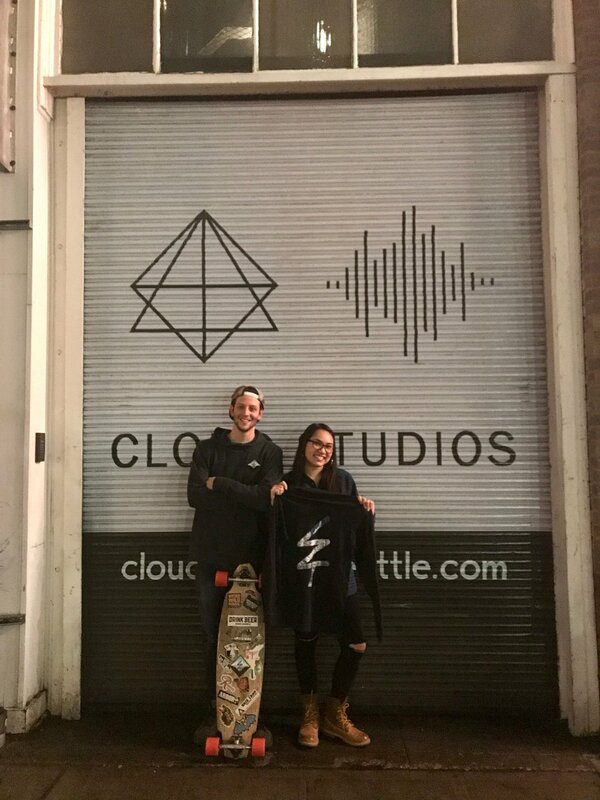 Taking Seattle by storm, this young entrepreneur is making his mark of creating affordable and fun clothing for his peers. Jonas started off drawing anything from wolves to people and decided that he wanted his artwork on t-shirts. And with the help of his dad, he's been able to make his dreams come true! It is so great to hear from a younger perspective what they hope for people to feel like when they wear certain clothes or what they want people to know on a daily basis. Tune in to this episode and learn about Jonas and what fun things are to come for Jojo wear! Follow Jojo wear clothing on Instagram here! Don't we look like we are about to drop the most fire mix tape of 2018? Meet lady boss and total badass Sage Quiamno! She's the Head of Hustle and Digital Marketing Strategist for Ladies Get Paid a worldwide movement that is making sure us ladies, GET PAID! And get paid what what we deserve. From hitting us with the facts of the gender wage gap to hosting salary negotiations, Sage has really made an effort to make a difference in this world. She grew up in the North Shore on Oahu and made her way over to Seattle 5 years ago and it's changed her life ever since. From growing up in a small town surrounded by family and people who looked liked her to moving to Seattle where she felt very out of place. Sage is an advocate for bringing women of color together and uplifting one another and collaborating. I am truly inspired by Sage's work and really enjoy being around her upbeat personality. Her story is amazing, her energy is amazing and she really teaches us that we as women, have a purpose. And that we must know our worth. The power of social media is a trip when you're able to meet people that you follow in real life and collaborate on projects. This is an example of that. 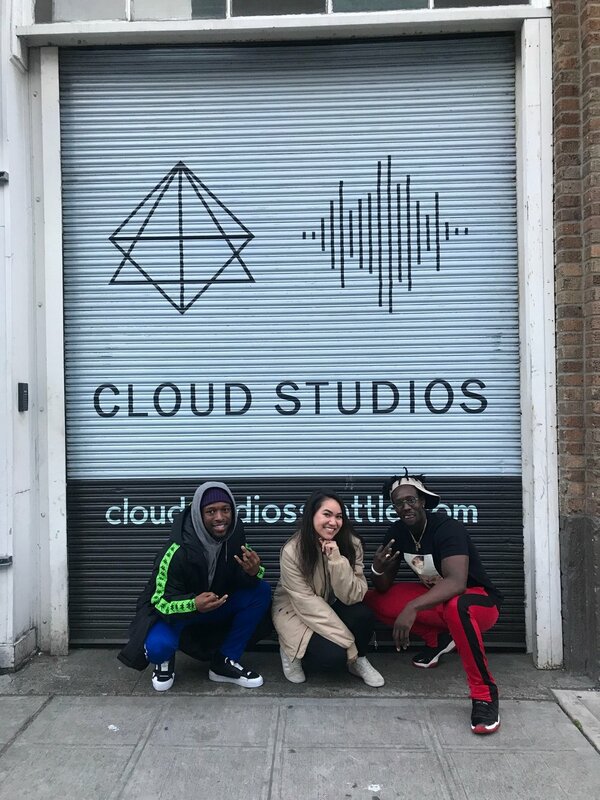 I was introduced to Gianni Carter by a friend who shared his soundcloud account with me and from there I have been able to follow his musical journey. Wanting to show love to the PNW, Gianni and I talked about flying him up from LA to DJ at one of my Citrus Room Squeeze events. Well, we made it happen and got to fit in a podcast episode too! It was great to hear about Gianni's transition from a life dedicated to football to going back to his love for music and being able to call the art he creates, his own. Turn up the volume because you're in for a treat as Gianni shares his DJ mix for Citrus Room! Follow Gianni on Instagram, Twitter and Soundcloud! Marshall Law was founded in 2016 by lead M.C. Marshall. The group first collaborated on Marshall’s sample-heavy debut album, Mill Creek. Loving the addition of live instrumentals, Marshall enlisted the help of Evan, Josh, Matt, Marty, and Zach to headline shows at the Vera Project and The Pacific Science Center Laser Dome. The chemistry was evident, and the six musicians set out to create a one-of-a-kind funk-hop sound from scratch. On this episode of Citrus Room Podcast Marshall stops by and brings the energy and some citrus themed gifts too! Marshall shares the experiences of leaving his very structured and planned life to a life dedicated to music and a go with the flow type attitude. He and his band mates keep each other grounded by helping out the community in more ways than one. Make sure to check out their next show the MLK tribute Performance on January 15th, details here. Follow Marshall Law on Instagram here! Meet Alina Amkhavong, Seattle Southend Native, Senior at USC and Founder of Bless Her Hustle. Bless Her Hustle is a movement to empower women of color who know the hustle. Achieving your dreams is a process that comes with challenges all the time. Alina stops by the show to share her story of being the first in her family to go to college, hitting a breaking point where she wanted to drop out and then finding her purpose again and making plans after graduation. Alina was raised by a single mother and shares how her resilience and dedication influenced her to teach women that we can be strong too. We have a purpose. We CAN do anything and everything we've ever dreamed of. It was great chatting with Alina as we both can relate being raised in a Thai/Lao household and the expectations we had growing up, but that nothing is more fulfilling than following your dreams. Find out more about his movement and how Alina is inspiring young women! Follow Alina on Instagram here and follow the Bless Her Hustle movement here! I'm thrilled to share this episode with you! Young creative, talented Photographer and Cinematographer, Luis Perez stopped by Citrus Room and shared what it's like as a photographer in Seattle, trying to make a name for himself, stand up for his self worth while expressing his art. Luis explains that it isn't easy, people expect you to do a lot of work for free and you're stuck between a rock and a hard place. I believe Luis' story is inspirational and a lot of people can relate to, he also shares his personal battles that he's overcome and I am so proud of him. Check out Luis' brand new website here! Follow Luis on Instagram here! Happy to announce my first event series Citrus Room Squeeze is happening on 12/10 at Bar Sue. Yes, my podcast is now throwing parties! Let’s dance with dope music played my DJ MiRo, G-Lo & HAN 🍊 get your tickets here! As we are at the tail end of 2017, I'm sure many of you are thinking about a New Years Resolution or some goals you want to set for yourself. In this short episode I talk about some tips and tricks on goal setting and how 2017 has been a year of accomplishments. I also answer some of your questions about goal setting. Check it out! 2. Take 30 mins out of your day and write out a bunch of goals you have, use different colored pens, have fun with it. DREAM BIG. 3. Make a collage, do this with a group of friends. Bring magazines over and create your vision board. Living, Loving and Singing through life. Seattle native, Chris LeVaughn is on his way to releasing his upcoming EP this year. From writing songs for celebrities to singing on the street, the grind doesn't stop for Chris. This is the first time in a long time that he is solely working on HIM. The graphic design, the music production, the editing - he's putting his blood, sweat and tears into this project. I'm so thankful I got the chance to speak with this amazing soul that is so inspirational. Gotta love it when old friends stop by the show. Blake Matthews and I got to chat about his new blog Doppler Seattle - The Seattle-based hub for emerging arts and entertainment. Blake shares his networking experiences and what it's like to attend all different types of events to encourage Seattlelites to get out and try new things! We talk about music and share some songs from Blake's playlist that he made just for Citrus Room! We also go head to head on Heads Up! Check out the Blake's playlist for Citrus Room here! Follow Blake on Instagram and Twitter and follow Doppler Seattle on Instagram and Twitter! When she's not serving up the tastiest tacos at Sundry, she's rockin' out with her band Sundries. Sadie Ava is a multi-talented musician and chef that is on her way into grad school. Sadie sits down with Citrus Room to talk about how she got involved with music, shares her experience with her band and as a solo artist and plays her song "Slow Motion" live. This was one of the funniest episodes I've ever recorded, it was a great time. We also try out the mystery flavored Oreo and Sadie shares an incredible story about her grandma who is a holocaust survivor and is doing great things for her community. The Sundries have a performance at Neumos THIS THURSDAY, October 18th. Get your tickets here! Follow Sadie on Instagram here and Sundries here! I'm back! I took a short hiatus to heal from the passing of my pug Napoleon. It has been an extremely hard time adjusting to the change, not just for me but for my family. He was my dream dog, and the funniest, sweetest pet I could ask for. In returning, I wanted to share this episode with my best friend Cady Buscher. Cady and I have been friends for 18 years and boy have we been through a lot! Surprisingly, we never really fought. But so much has happened in our personal lives we have stood by each others side and watched each other grow into young women. This episode recaps a little of what our friendship is like, the paths we took and who knows each other best challenge. I am so grateful to have Cady as a friend, who gets me, who will stand up for me and who makes me laugh. Something to ask yourself: What is your definition of a good friend? Follow Cady on Instagram here! Follow Cady's Calligraphy Instagram here! I'm so happy I got the chance to hang out with Morgan Jaldon! She just moved here from San Francisco and I wanted to welcome her to Seattle by having her on the show! Morgan is a 19x Marathon Runner and 2x Ultra Marathon Runner, Flywheel instructor, and so much more. Her drive is incredibly inspirational, she's always on the move and does it all with SUCH a positive attitude. 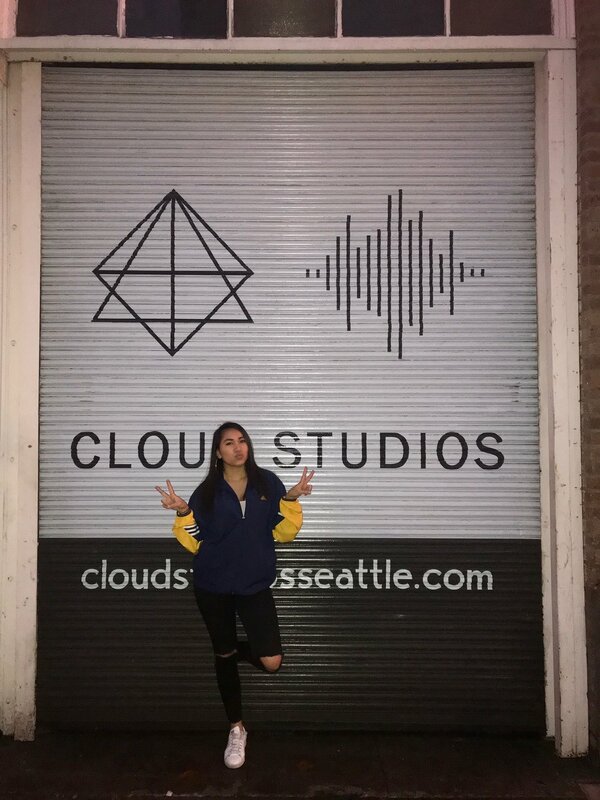 Help welcome Morgan to the Seattle area by following her on Instagram and sending her your favorite coffee and ice cream suggestions, she has yet to find her favorite coffee. For fitness tips, recipes and motivation follow Morgan on Instagram here!